2013 was a big year for me in many ways. Lots of life changing events. The most important of these was in February when I lost my beautiful, and always inspiring, Aunt Ruby. I still can’t really believe she is gone. If you know me at all you know she was a source of inspiration to me. A real treasure. She was a strong, smart, spunky lady who had a ready smile, a warm heart, and baked a killer pecan pie. I miss her every day and 2013 was a little bleaker for her loss. Of course, 2013 was not all bad. In April I went to England and became Godmother to my best friends youngest daughter. After that I flew to Bologna, Italy where I had some of the best food in the world. When I got home I decided to change my life, and over the summer did just that! It is going better than I could have hoped! I am happy, and that is what matters most! This fall I went back to what is my favorite place outside Texas – Tokyo, Japan. I ate my way across the city, tortured the locals with my very bad Japanese, and had the most marvelous time! I have made some wonderful new friends this year, like the witty Ms. T, discovered that I like painting even though I have very little talent for it, and I am looking forward to what 2014 has to offer! I think a party is in order! When I think party I think appetizers! I love bite-sized goodies that one can grab on the way to the bar! 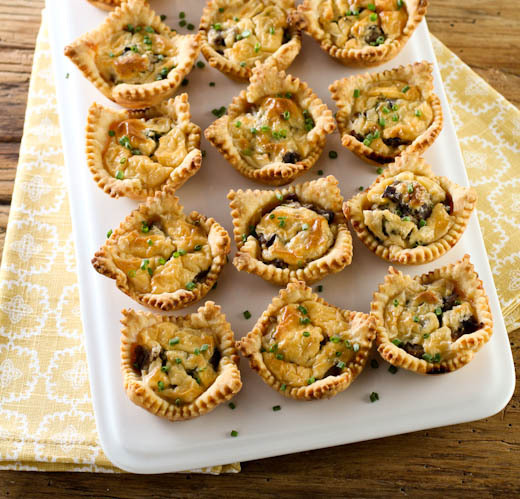 These little pies were inspired by two things – roast beef sandwiches, and Southern cheese straws. I wanted a tangy, slightly spicy crust with a savory, cheesy beef filling. These certainly delivered. For the crust I used the sharpest cheddar I could find. I wanted a very tangy cheese to stand up against the robust filling. 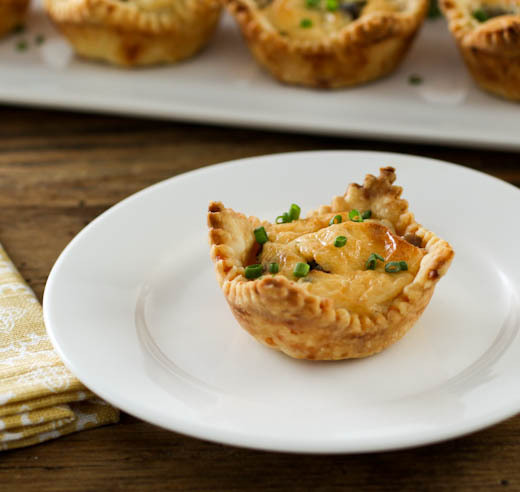 That filling is made with smoked Gouda, beer, horseradish, more cheddar, and – for freshness – chives. There is a lot going on here, but it all works. 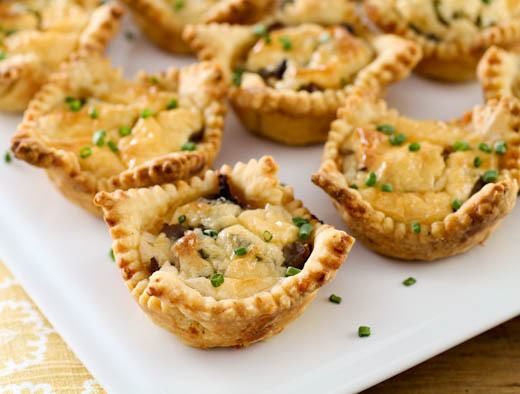 These are cute little pies, too, so they would fit in at both formal and casual events. 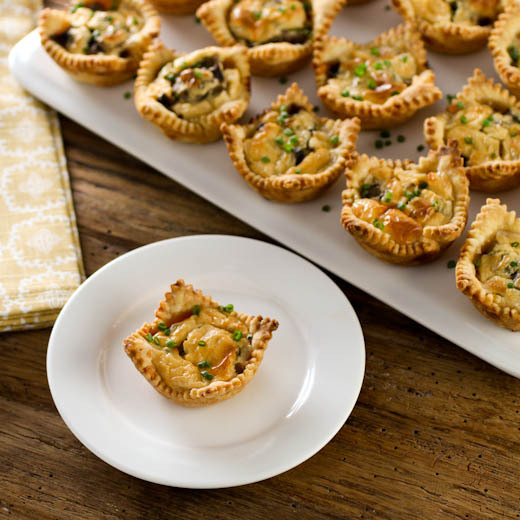 I can see these being a big hit at a New Years Eve party, as a nibble before Thanksgiving, served up at a Superbowl watching party, or as part of a Spring brunch spread. Begin by preparing the pastry. 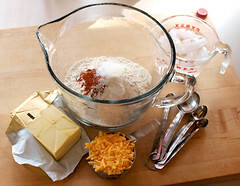 In a large bowl combine the flour, sugar, salt, paprika, cayenne pepper, and shredded cheese. Mix until thoroughly combined. Add the butter and, with your fingers, rub it into the flour until the mixture looks like coarse sand studded with pea sized bits of butter. 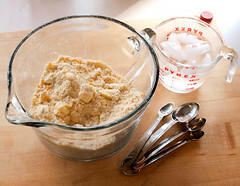 Add the water, starting with 3 tablespoons and adding more a tablespoon at a time, and mix until the dough forms a shaggy ball. 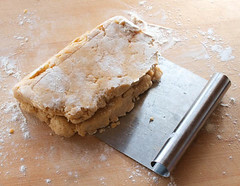 Turn the dough out onto a lightly floured surface and press into a rough rectangle. 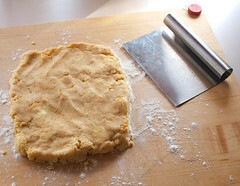 Fold the dough in half, and press it out again. Repeat four more times, or until the dough is smooth. Divide the dough in half, wrap each piece n plastic and chill for at least thirty minutes or up to three days. 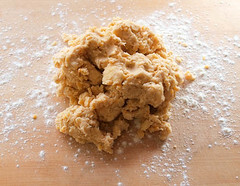 Remove one half of the dough from the refrigerator for ten minutes before rolling out. 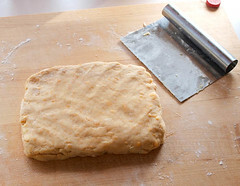 Roll out on a lightly floured surface to ⅛-inch thick, 10x14-inch rectangle, turning the dough often to make sure it does not stick. Dust the surface with additional flour if needed. 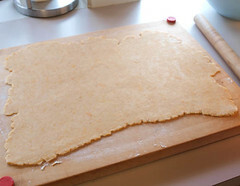 Using a pastry wheel or pizza cutter, cut the dough into about 15 3-inch squares. Save any scraps or misshapen squares that remain to re-roll for additional squares as needed. 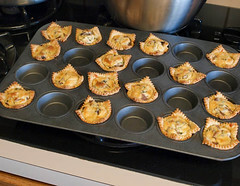 Gently press the squares into the cups of a mini-muffin pan. Cover with plastic and chill while you prepare the filling. Repeat with the second piece of dough. 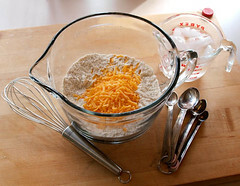 In the work bowl of a blender or food processor add the cream cheese, sour cream, shredded cheeses, beer, horseradish, cornstarch, mustard powder, Worcestershire sauce, salt, and pepper. 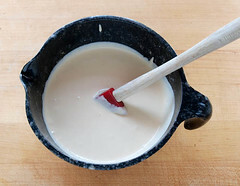 Blend until the mixture is smooth, about 2-3 minutes. Divide the roast beef and chives among the pastry squares. 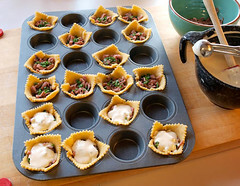 Top each with a heaping tablespoon of the filling mixture. 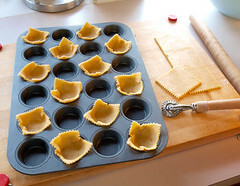 Lightly rap the pan on the counter to help the filling settle, and remove any large air pockets. Bake for 18 to 20 minutes, or until the pastry is golden brown all over and the filling is golden brown and set. Cool for 5 minutes in the pan before serving. Serve warm or at room temperature.